Indian Ink (Kobo eBook) | The Drama Book Shop, Inc.
Indian Ink is an expansion of Stoppard’s 1991 radio drama In the Native State, which was inspired by his childhood years in 1940s Darjeeling. 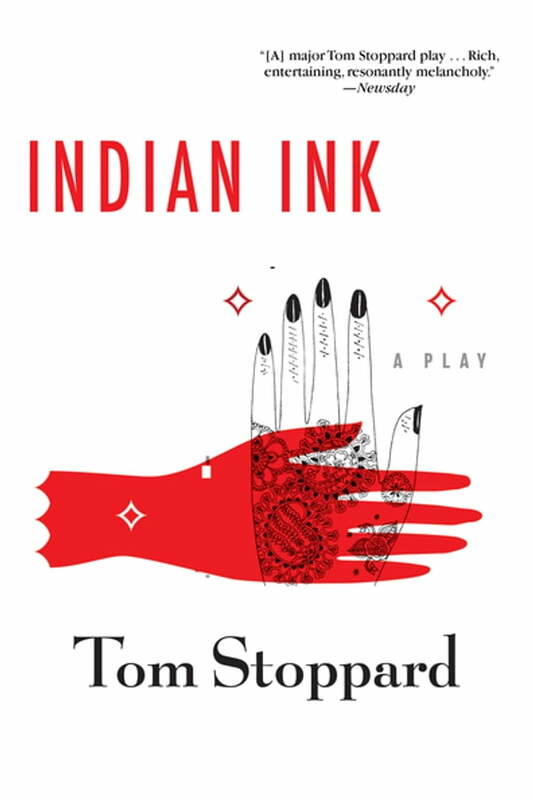 A neglected gem in Stoppard’s oeuvre, Indian Ink is recapturing the attention of American audiences. It was recently revived in a 2015 production at the American Conservatory Theater (ACT) in San Francisco directed by Carey Perloff. Perloff also directed an Off-Broadway production at the Laura Pels Theatre in 2014, featuring Rosemary Harris, Romola Garai, and Firdous Bamji. The play was nominated for the 2015 Lucille Lortel Award for Outstanding Revival. Indian Ink originally premiered at the Yvonne Arnaud Theatre, Guildford, and opened at the Aldwych Theatre in London, on February 27, 1995, directed by Peter Wood. The play had its American premiere in 1999 at the ACT, directed by Perloff. It was produced Off-Off-Broadway at Walkerspace in 2003, directed by Ashok Sinha. Grove is republishing titles by Stoppard that were previously published by FSG (including Arcadia, Indian Ink, and The Real Thing) and updating our Stoppard backlist to give these books a fresh look. We are also publishing the old FSG titles in ebook for the first time.